For the very first time, I’m going to be planting some herbs in a container this spring. Container gardening with flowers is nothing new to me, but herb gardening will be a totally new experience! Since I know that the food I plant will ultimately end up in my body, I want to be sure that I’m starting off on the right foot. 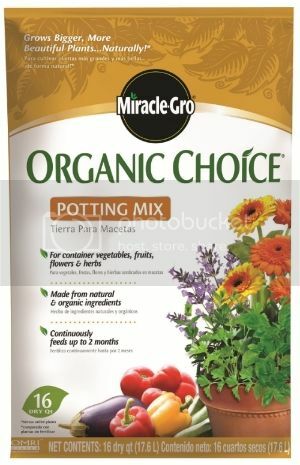 So, Scotts Organic Potting Mix is a natural choice. It’s made from natural and organic ingredients and will continuously feed my new plants for up to 2 months. It’s nice to know that it is readily available at all of the major retailers where I already do my normal shopping. *Choose the biggest pot that you can. The soil will dry out much faster in a small container. * Maybe this goes without saying, but remember to water. The soil in containers will dry out much faster in the heat that the ground soil will. A thin layer of mulch can be added to the top of the soil to slow down the drying-out time. *Place your container on a wheeled pot trolley so that it can be moved to follow the sun, if necessary. *Start with herbs. They are easy to grow and are perfect for a first-timer, like me. 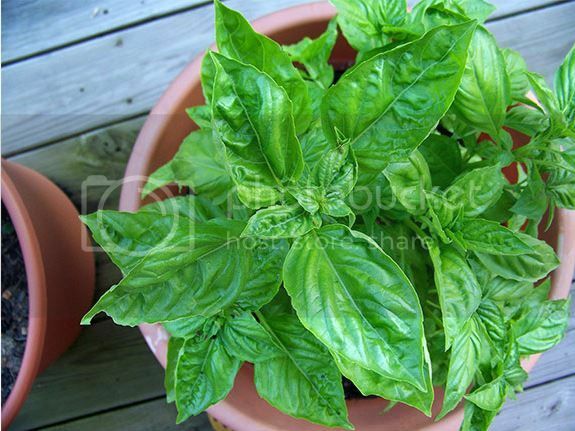 I’m going to start with basil, which I found out will need more water and more fertilizing than some of the other herbs. And what do I plan to do with my harvest? 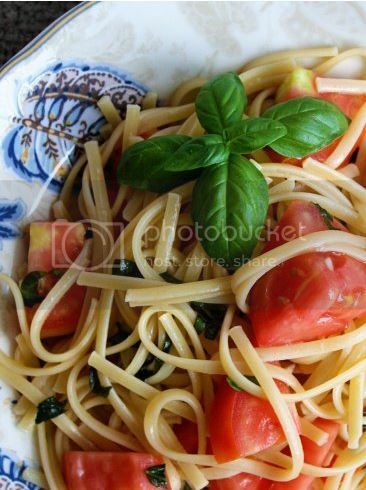 I love pasta, so I see a nice bowl of Tomato, Basil and Garlic Pasta for dinner one night! Good to know. Im a miracle grow girl ALL THE WAY!